The Great Toilet Paper Roll Debate (are you an "over" or an "under?") is the most contentious disagreement in history. So let's setlle it, once and for all. Let's finally settle the oldest debate known to mankind. It’s perhaps the most contentious disagreement in the history of human civilization. It’s been argued over by married couples, family members, co-workers, and roommates. It’s got it’s own Wikipedia page that’s twice as long as the one for the Iraq War. Ask three people and you’re likely to get three different opinions. And everyone is passionate about their views. Even people who are too polite to discuss politics will start screaming “FAKE NEWS” if challenged over their beliefs. It’s one of the most divisive issues of our time, and we wish we were kidding. We’re talking, of course, about the Great Toilet Paper Roll Debate. Should a toilet roll hang over the top, or hang under the bottom? It’s not just an issue of aesthetics. 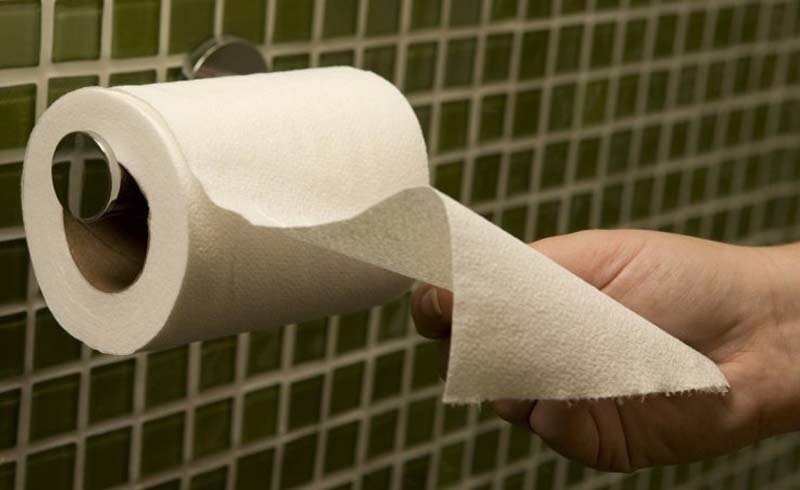 Americans spend 30 minutes per year just looking for the end of a toilet paper roll, which results in $300 million lost each year in productivity. Can we ever come to a consensus and end the madness? Bill Jarrett in Grand Rapids, Michigan, thinks so. For years he’s been lobbying for the American people to come together and pick a direction already. “My final goal in life is to put an end to this most winnable debate and declare a ‘National Toilet Paper Hanging Way,’” he says. He’s in his 80s now, and we’re no closer to an answer. It’s time for our national nightmare to end. We’ve sifted through all the evidence, the science and the psychology and the passionate arguments from regular people and self-proclaimed “experts,” and we’ve assembled evidence to support both sides. Let’s take a look and then make a decision. Researchers at the University of Colorado revealed in a shocking study from 2011 that bathrooms aren’t nearly as hygienic as we want to believe. No, really! Apparently, people are sloppy about washing their hands. And they’re certainly not focused on making sure their hands are clean when they’ve finished their business and are reaching for toilet paper. So when the loose end of toilet paper is dangling under the roll, that means it’s been rubbing against the bathroom wall, which is infested with all sorts of nasty bacteria. Every time you use the bathroom, you could be putting bacteria directly on your… please don’t make us say it. You get the idea. If you believe in democracy, and that the majority’s decision represents the will of the people, then you have to go with over. 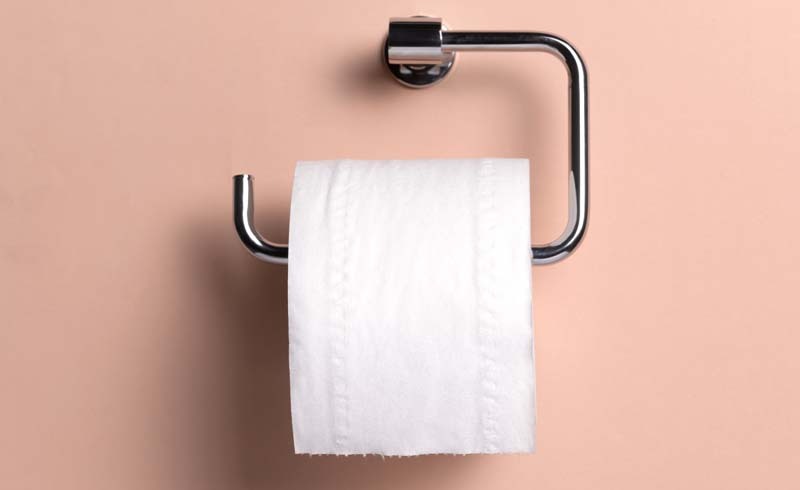 As it happens, 70 percent of people have gone on record saying that toilet paper should always be hanging over rather than under the roll. And they’re not willing to compromise on this worldview. One in five people get furious and indignant if they encounter toilet paper that’s hanging the wrong way. Seth Wheeler from Albany, New York first patented the design for what would become modern toilet paper roll. And as you can see by his original illustration, the roll is intended to hang off the front. You’re going to argue with the freaking inventor of toilet paper? That’s like trying to argue with Buzz Aldrin about what walking on the moon really feels like. 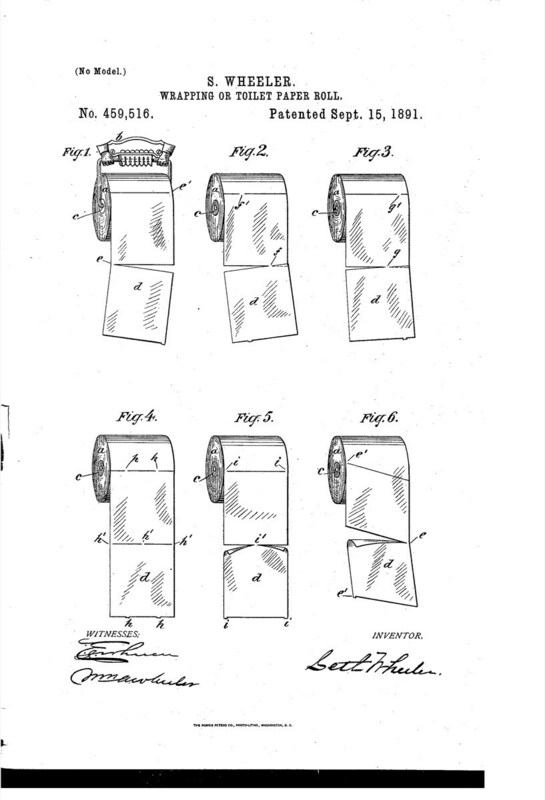 The original toilet paper patent; Seth Wheeler, 1891. When advice columnist Ann Landers was first asked the Over/Under toilet paper question in 1986, she concluded that under was the obvious choice. She received over 15,000 responses from readers, more than for any other single topic in Lander’s multifaceted career. Some protested her stance, arguing that under-hanging toilet paper was akin to madness. But just as many readers thanked her for finally bringing some common sense to the public debate. “Pulling the paper from the top forces the roll more tightly into the dispenser, compounding the problem,” one reader wrote to Landers. “But when the roll is pulled from the bottom, it unwinds smoothly, with the end hanging free and easy to find.” Can’t argue with that. We’re either a super-chill cat lover who just wants to take life in stride or a pushy germaphobe that believes in mob rule? Honestly, neither side has an airtight case. But then we discovered the toilet paper philosophy of Brian Wecht, a theoretical physicist who was interviewed on the topic and had some surprisingly convincing insight.